New York Yankees: Why Is Luis Severino Struggling - Can He Fix It? 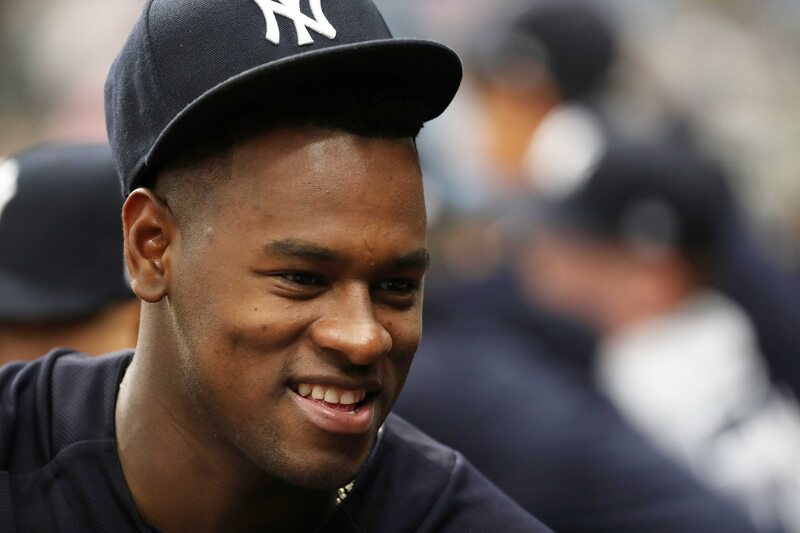 Home New York Yankees New York Yankees: Why Is Luis Severino Struggling – Can He Fix It? New York Yankees: Why Is Luis Severino Struggling – Can He Fix It? New York Yankees’ 24-year-old ace Luis Severino has shown a mid-season struggle as of late. In his last four starts through 19.1 innings pitched, Sevy has allowed 33 hits, 19 earned runs and 7 home runs – recording an 8.84 ERA. In those innings pitched, batters are hitting .384/.418/.698/1.115 against him. He has allowed just 32 hits in his previous 47.1 innings pitched before things started to go south for him on July 7th against the Toronto Blue Jays. In his 18 starts before those last four, he posted a 1.98 ERA through 118.1 innings pitched, with allowing just six home runs and batters only hitting .195/.251/.282/.533 against him. It’s hard to pinpoint what exactly the issue is here. In his last four starts, he is throwing 70% strikes compared to 68% strikes in the previous 18 starts. His BB% has actually gone down to 2.1% in the second half of the season from a 6.4 BB% in the first half. The most alarming stats I have seen that should warrant concern for the front-end starter are his line-drive percentage, home-run per fly-ball percentage, and his hard-contact percentage. In his first 18 starts, Sevy has induced a 25 LD% – that number soars up to a 36 LD% in his last 4 starts. Just in July alone, Severino’s HR/FB% rocketed to a 25.9% from a 6.6% in the previous months. Same with his HC%, he is allowing a 39.8 HC% in July from a 32.0 HC% prior to July. Put simply, he is throwing just as many strikes but is allowing batters to make way more hard contact, which in turn is producing more line-drives and more home runs. Prior to those struggling 4 starts, batters against him only averaged a .273 BAbip – in those 4 starts, a .433 BAbip. He has become extremely hittable since that July 7th start, and there could be a few reasons why. Could Luis Severino be injured? When comparing his best outing of the season to his worst, it seems he has lost some velocity on his pitches. On May 2nd in Houston, Sevy tossed a complete game shut out. In that game, he threw his fastball 55% of the time, his changeup 15% of the time, and his slider 31% of the time. The average velocity for each pitch in that outing was: FB – 99.0mph, CH – 89.4mph, SL – 89.4mph. His most recent start, arguably his worst, was July 28th at home against Kansas City where he threw for 4.1 innings and allowed 6 earned runs. In that game, he used his fastball 53% of the time, his changeup 6% of the time, and his slider 41% of the time. A similar approach, but the average velocity of each pitch was: FB – 97.5mph, CH – 87.4mph, SL – 88.2mph. This seems unlikely considering Severino’s caliber as a pitcher, but if that IS the case, that would explain why batters have been squaring up on his pitches more easily. A few ways that batters can anticipate the pitch before it leaves the mound is with different arm angles, motion speeds, glove positioning, and pitch grip visibility. This is a relatively easy fix – some video tape work and assessing body language and motion can help Severino take note of any hints he may be giving batters and can adjust accordingly. Maybe Sevvy is just going through a mental slump? When he has been lights-out all season, people sometimes forget that he’s still a human who is going to have blips throughout the year. In a post-game interview with catcher Austin Romine after the 7/28 outing, he stated that, “[Severino] was kind of scattered all over the place. I was trying to reiterate to him to stay down the zone and throw through me. He was kind of inconsistent with his fastball today,” according to the New York Times. Severino is slated to open up the series against the Red Sox in Boston this week. Whatever the case may be, hopefully he can reset and put those last 4 starts behind him. With Aaron Judge and Gary Sanchez out of the lineup, we will need our #1 starter on his A-game to hold down the Red Sox’s offense. Are The New York Yankees Finished Making Deals Ahead Of The Deadline?